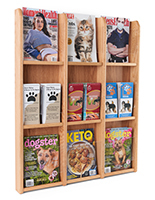 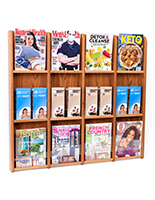 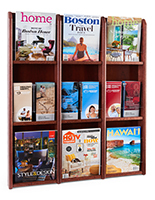 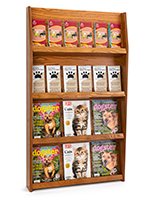 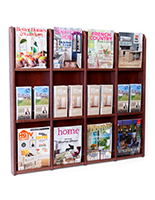 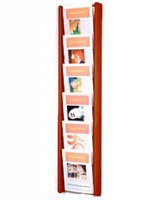 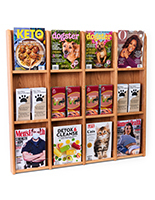 Wood Magazine Holder - This is a 30"w x 37"h x 3"d wall mount magazine holder. 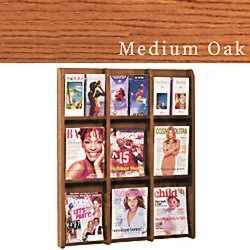 It is constructed of a solid oak (med oak finish) frame with acrylic front panels. 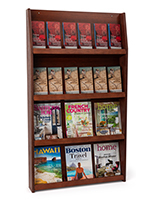 It accommodates 9 magazines or 18 brochures with the use of the plastic clip-on divider (9 included).